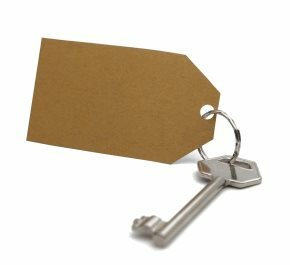 What is Surrendering a Tenancy? The tenancy can be terminated early by mutual agreement so long as both parties agree. When this happens the parties will both surrender the tenancy, and once surrendered all obligations and rights under the tenancy come to an end. Surrender is the most common method for the termination of modern residential tenancies. Why do I need a Surrender Deed? A deed is usually used in order for a tenancy to be surrendered, but a tenancy for a term of less than three years does not require a deed. However Section 2 of the Law of Property (Miscellaneous Provisions) Act 1989 states that a written document or a "declaration of surrender" is signed by all parties. This ensures the surrender is expressed. MoneyClaimsUK encourages the use of surrender by parties to reduce costs, time and stress for all parties. The surrender means the giving up of possession of the premises to the landlord by the tenant. It is therefore important that the landlord does some act in accepting the surrender by similarly giving up something of value. The evidence of surrender of the tenancy must be both genuine and reasonable. The surrender cannot be conditional. It requires the conduct of both the Landlord and tenant to be inconsistent with the continuance of the tenancy. Proceedings for unlawful eviction could be brought by the displaced tenant unless the landlord can be certain that the tenant has ceased to reside in the property. This ensures that the surrender is implied as well as expressed by Deed. A well expressed document or Deed is advised. Should the tenant not give up possession of the property to the landlord, despite surrendering the tenancy, the landlord is still required to obtain a court order to recover possession as the tenant is still protected by the Protection from Eviction Act 1977. However since there is no longer any tenancy the tenant is a trespasser can the landlord can seek a court order immediately on that basis. The tenant's liability to pay rent continues until the landlord accepts the surrender, subject to the natural expiry of the tenancy agreement. The avoidance of any further rent or arrears accruing can encourage the tenant to formally surrender the tenancy soonest. Any utility arrears, being in the tenant's name, will follow them.